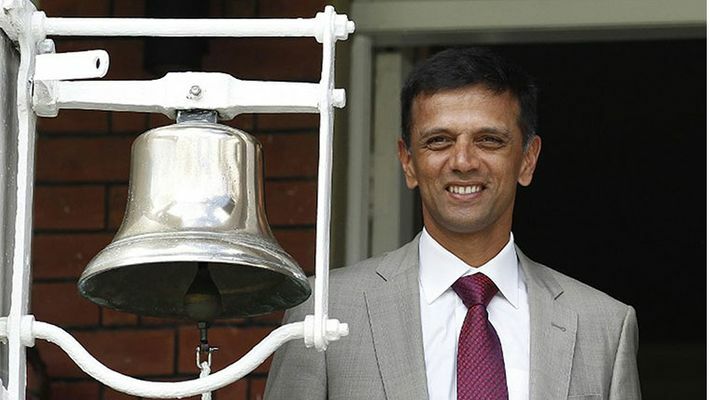 Bengaluru: Former Indian cricket captain and Karnataka election commission’s icon and ambassador Rahul Dravid cannot vote in Bengaluru on April 18 this Lok Saba election. It is an irony that the ambassador who is requesting the entire state to cast their vote himself is helpless and cannot exercise his right this time. According to reports, Dravid had changed his house and as he had not furnished the details of the new house, and apply for the address change, his name was removed from the voters list, but was not added into the latest one. Dravid was a resident of 12th Main in Indiranagar. He was a registered voter under the Shantinagar Assembly segment that falls under Bengaluru Central Lok Sabha constituency. But he shifted his residence to Ashwathnagar in RMV Extension, and did not apply for change of address in the voters list. Reportedly, when the booth level officers visited the house of his brother Vijay, he submitted Form 7 on October 31, 2018, that is meant to delete the name of the residents, on behalf of Dravid and his family as he has shifted from there. But Dravid had not filled Form 6 that was meant to add his name in the voters list at his new location. Now, despite being the ambassador of the elections commission in Karnataka, Dravid cannot do anything, but watch his own appeals go in vain, in terms of himself and his family. However, another report claims that Dravid, who is also the coach of India ‘A’ and Under-19 cricket teams was not there at home for 'Mahazhar', nor the booth-level officers could get in touch with his family, when they visited his house to verify the details. At that time, Dravid was on a visit to a foreign country and when he returned, his time to verify the details was long over. The first voters list was out in January and March 16 was the last date to submit the registration of new names. But Dravid came to know about this only after March 16 and contacted the officers, but in vain as the deadline was long over. The Mathikere sub-division office said that the officers visited Dravid's house twice, but had to return empty-handed with just a message saying they have no message from him to include his name in the voters list. Congress’s Muslim candidate Rizwan Arshad on temple-mutt run fearing loss?